For traveler tips, maps, ratings, and tourist information, you can read our New York City day trip site . Winnipeg, Canada to New York City is an approximately 8.5-hour combination of flight and bus. You can also fly; or drive. The time zone changes from Central Standard Time (CST) to Eastern Standard Time (EST), which is usually a 1 hour difference. Traveling from Winnipeg in May, you can expect nighttime temperatures to be a bit warmer in New York City, with lows of 15°C. On the 25th (Sat), you'll travel to Stamford. Stamford is a city in Fairfield County, Connecticut, United States. On the 25th (Sat), get engrossed in the history at Sagamore Hill National Historic Site, then look for all kinds of wild species at Rye Nature Center, and then steep yourself in history at Square House Museum. For more things to do and tourist information, read Stamford attractions planner. You can drive from New York City to Stamford in an hour. In May in Stamford, expect temperatures between 24°C during the day and 12°C at night. Cap off your sightseeing on the 25th (Sat) early enough to travel to Providence. Find out how to plan Providence trip without stress by asking Inspirock to help create an itinerary. Traveling by car from Stamford to Providence takes 2.5 hours. In May, daytime highs in Providence are 24°C, while nighttime lows are 11°C. On the 26th (Sun), wrap the sightseeing up by early afternoon so you can drive to Kennebunkport. Kennebunkport is a town in York County, Maine, United States. For maps, traveler tips, where to stay, and tourist information, read Kennebunkport trip planner . Traveling by car from Providence to Kennebunkport takes 2.5 hours. Alternatively, you can do a combination of train and bus; or take a train. 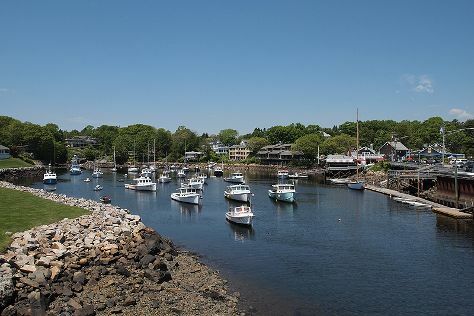 Traveling from Providence in May, you can expect nighttime temperatures to be little chillier in Kennebunkport, with lows of 7°C. Finish your sightseeing early on the 26th (Sun) to allow enough time to drive to Plymouth. 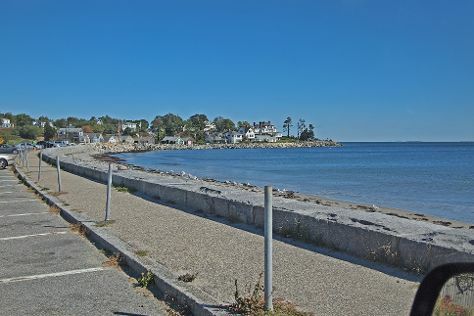 Rightly calling itself "America's Hometown," Plymouth holds a prominent place in the nation's history and culture as the site of the first Puritan colony. For reviews, photos, maps, and other tourist information, you can read our Plymouth trip planner . Getting from Kennebunkport to Plymouth by car takes about 2.5 hours. Other options: take a bus; or take a train. In May, daytime highs in Plymouth are 23°C, while nighttime lows are 9°C. On the 27th (Mon), wrap the sightseeing up by early afternoon so you can travel to Lexington. Lexington is a town in Middlesex County, Massachusetts, United States. On the 27th (Mon), get to know the fascinating history of Minuteman Trail Bikeway. To find traveler tips, photos, where to stay, and other tourist information, read Lexington journey builder website . You can drive from Plymouth to Lexington in 1.5 hours. Expect a daytime high around 24°C in May, and nighttime lows around 9°C. Finish up your sightseeing early on the 28th (Tue) so you can travel to Concord. Concord is a town in Middlesex County, Massachusetts, in the United States. Use Inspirock's suggestions to plan your Concord trip and find the best activities and attractions for your vacation. Concord is very close to Lexington. In May in Concord, expect temperatures between 24°C during the day and 9°C at night. Cap off your sightseeing on the 28th (Tue) early enough to travel to Quechee. Quechee is a census-designated place and one of five unincorporated villages in the town of Hartford, Windsor County, Vermont, United States. To find maps, ratings, traveler tips, and tourist information, read Quechee driving holiday website . Drive from Concord to Quechee in 2.5 hours. Expect a daytime high around 24°C in May, and nighttime lows around 8°C. You'll set off for Woodstock on the 29th (Wed). Woodstock is the shire town of Windsor County, Vermont, United States. Start off your visit on the 29th (Wed): explore and take pictures at Sugarbush Farm and then contemplate the long history of Billings Farm & Museum. Plan a Woodstock trip in moments using our itinerary builder. Woodstock is just a short distance from Quechee. In May, plan for daily highs up to 24°C, and evening lows to 8°C. Finish up your sightseeing early on the 29th (Wed) so you can go by car to Stowe. To find photos, where to stay, more things to do, and tourist information, read Stowe trip planner. Getting from Woodstock to Stowe by car takes about 2 hours. Other options: take a train; or take a bus. In May in Stowe, expect temperatures between 23°C during the day and 7°C at night. Finish your sightseeing early on the 29th (Wed) to allow enough time to drive to North Conway. Start off your visit on the 30th (Thu): see the sky in a new way at Mount Washington Observatory Weather Discovery Center, then admire the sheer force of Diana's Baths, then take in the awesome beauty at Rocky Gorge, and finally pause for some serene contemplation at The Little White Church. To find photos, other places to visit, maps, and other tourist information, use the North Conway trip itinerary planning site . Traveling by car from Stowe to North Conway takes 3 hours. Alternatively, you can take a bus. When traveling from Stowe in May, plan for little chillier days and about the same nights in North Conway: temperatures range from 17°C by day to 7°C at night. Wrap up your sightseeing on the 30th (Thu) early enough to drive to Bar Harbor. Bar Harbor is a town on Mount Desert Island in Hancock County, Maine, United States. Kick off your visit on the 31st (Fri): explore the striking landscape of Acadia National Park. To find ratings, more things to do, photos, and more tourist information, read Bar Harbor trip maker app . Traveling by car from North Conway to Bar Harbor takes 4.5 hours. Alternatively, you can do a combination of bus and flight; or do a combination of car and bus. In May in Bar Harbor, expect temperatures between 18°C during the day and 7°C at night. Finish your sightseeing early on the 1st (Sat) to allow enough time to drive to Portsmouth. Portsmouth is a city in Rockingham County, New Hampshire, in the United States. Kick off your visit on the 1st (Sat): take in the architecture and atmosphere at St. Thomas' Episcopal Church, then examine the collection at USS Albacore Museum, and then kick back and relax at Hampton Beach State Park. Keep things going the next day: steep yourself in history at Strawbery Banke Museum, don't miss a visit to Market Square, then steep yourself in history at Warner House, and finally admire the natural beauty at Prescott Park. For where to stay, traveler tips, more things to do, and tourist information, you can read our Portsmouth travel route planner . Traveling by car from Bar Harbor to Portsmouth takes 4.5 hours. Alternatively, you can do a combination of flight and bus; or do a combination of car, flight, and bus. While traveling from Bar Harbor, expect a bit warmer days and about the same nights in Portsmouth, ranging from highs of 28°C to lows of 15°C. Cap off your sightseeing on the 2nd (Sun) early enough to go by car to Boston. Get in touch with nature at Beavertail Lighthouse and Park and Boston African American National Historic Site. Heritage Museums & Gardens and Museum of Fine Arts will appeal to museum buffs. Get out of town with these interesting Boston side-trips: Milk and Honey Bazaar (in Tiverton), Cliff Walk (in Newport) and The House of the Seven Gables (in Salem). There's much more to do: tour the pleasant surroundings at Charles River Esplanade, take in nature's colorful creations at Boston Public Garden, explore and take pictures at Fenway Park, and get engrossed in the history at John F. Kennedy Presidential Museum & Library. To see reviews, maps, traveler tips, and tourist information, you can read our Boston trip builder tool . You can drive from Portsmouth to Boston in 1.5 hours. Alternatively, you can take a bus. Expect a daytime high around 28°C in June, and nighttime lows around 18°C. Wrap up your sightseeing on the 8th (Sat) to allow time to travel back home.